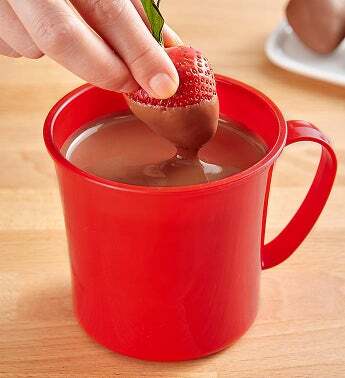 Create a sweet, unique treat for two (or just you) with our popular fondue mug, by Sistema. 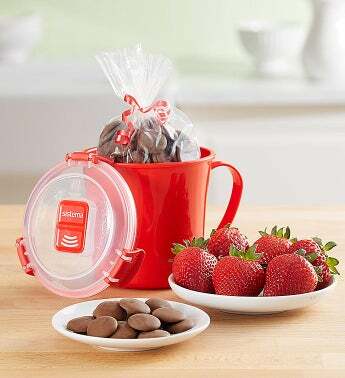 A generous-sized, microwavable mug complete with vented, lockable lid, it arrives with all the ingredients you need to prepare the most decadent chocolate fondue with strawberries for dipping. 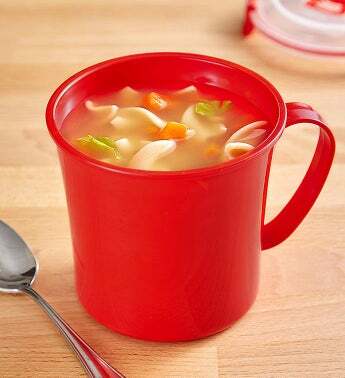 Simply microwave the chocolate in the mug, then dip to your heart’s desire. 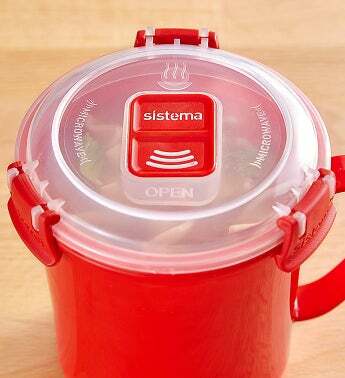 The steam-release valve ensures a splatter-free fondue experience... meaning more for you to enjoy! It’s sweet fondue fun you’ll want to share with your fondest.